Leisel Marie Jones OAM is a retired Australian Olympic gold medalist swimmer. A participant in the 2000 Summer Olympics – at just 15 years old – and 2004 Summer Olympics, she was part of gold medal winning Australian team in the women's 4 × 100 metre medley relay at the Athens Games in 2004 and a gold medalist for 100 meter breaststroke in the 2008 Summer Olympics in Beijing. 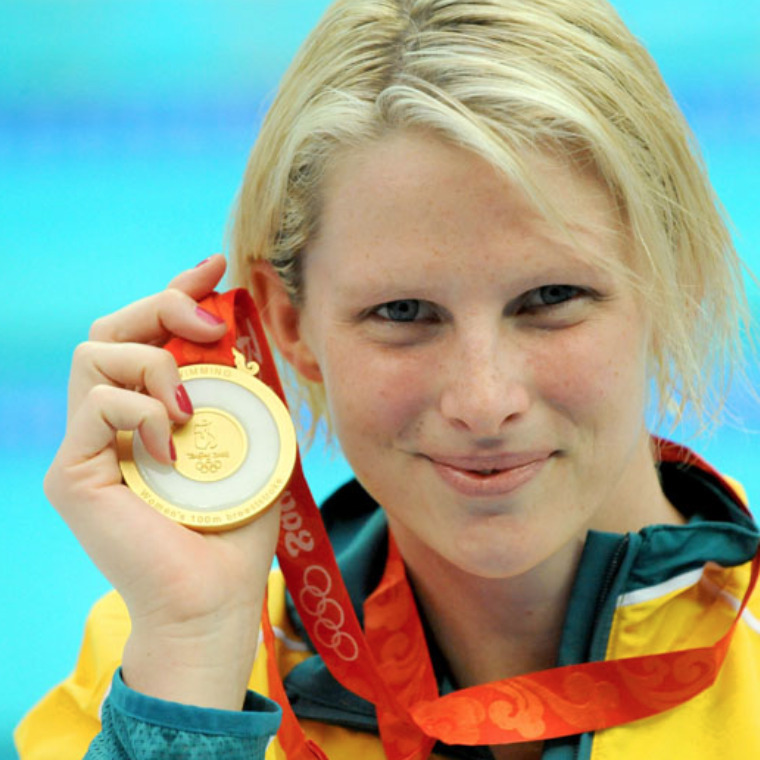 On 17 March 2012, Leisel earned selection to compete at the 2012 Summer Olympics in London, and became the first Australian swimmer to compete at four Olympic games. There, she won her ninth Olympic medal, a silver medal in the 4 × 100 m medley relay.